"Please up-vote for more updates on Reddit and please don't forget to leave a thumbs up, favourite and subscribe on our Steam page for more updates there." Hello everyone and welcome to "The Conquest of Paradise" an overhaul mod based on the map of Beyond Typus. The Conquest of Paradise or TCoP was originally a project I had created for my own personal enjoyment since I've been a BT fan for quite some time, I felt it becoming tedious and unnecessary for me to mod that mod every time it came out. As time went by I thought that others might enjoy my mod and so TCoP was born. What do I get from this mod? Besides the added fun of playing the mod, below is a list of what's included in TCoP. More provinces - The mod as of yet isn't finished and I doubt it will ever finish based on the fact that dlc's are always coming out and I myself have to constantly update the mod to fix and add things I like. 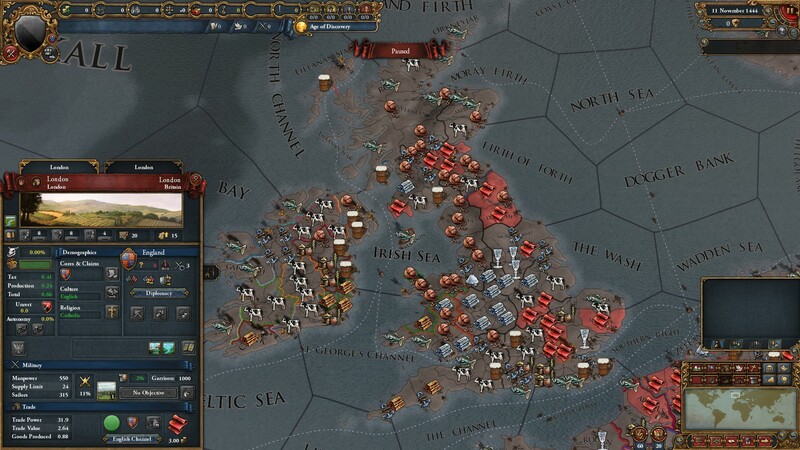 More trade charters - I have increased the number of trade charters around the world for gamers like myself who want to colonise and keep most of what we've colonised. I'm all for the colony system and all, but I prefer keeping my colonies. 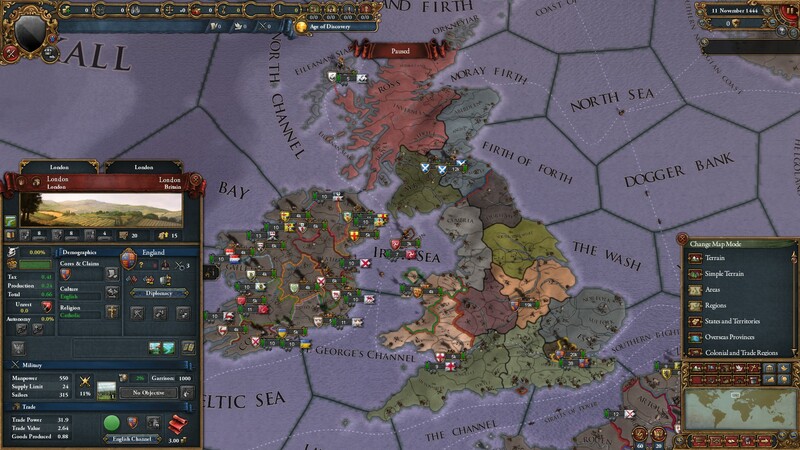 More National Ideas - I have added national ideas of my own to this mod and although not as numerous as some other mods. Modern borders - Now there are some gamers who absolutely hate modern borders, but I'm the exception. 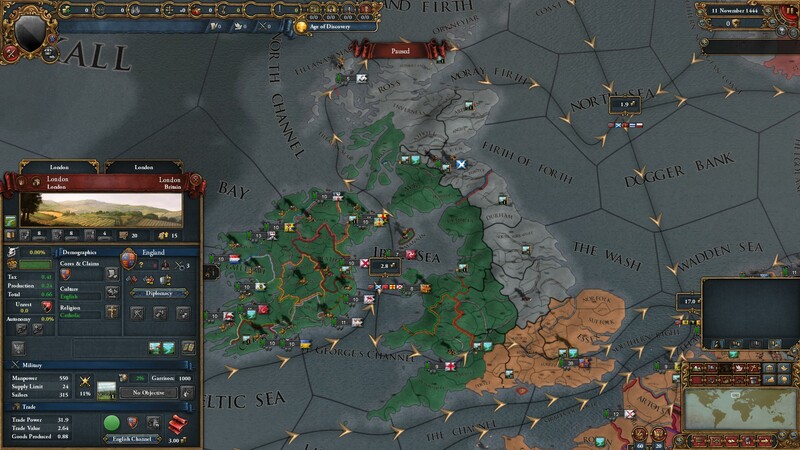 I love other mods such as extended timeline and I wanted to recreate that kind of feel with this mod. Expanded religions - I've added more areas to the game where I feel certain religions belong. I haven't expanded the "number of religions" per-say, but instead expanded the reach of certain religions. Turned some wastelands into potential habitable areas - Places like Western Australia were originally included in the game as wastelands, but I thought screw that and decided to turn them into livable areas. More micro provinces - Provinces like city's, city states or as I like to call them "Capital Regions"
Each Major power will get their own capital region. What is a capital region? Capital regions are basically two or three provinces joined together with all the development points of the original city shared out accordingly with the adjoining provinces or districts within the city. Together they form one capital within a region. However, unlike the old vanilla style capital were it was forbidden to place clergy, nobility or burghers. Capital cities have districts that specialize in one thing. Like with London below for example. London is split into two parts, the political and financial centers. View of the London's capital region. 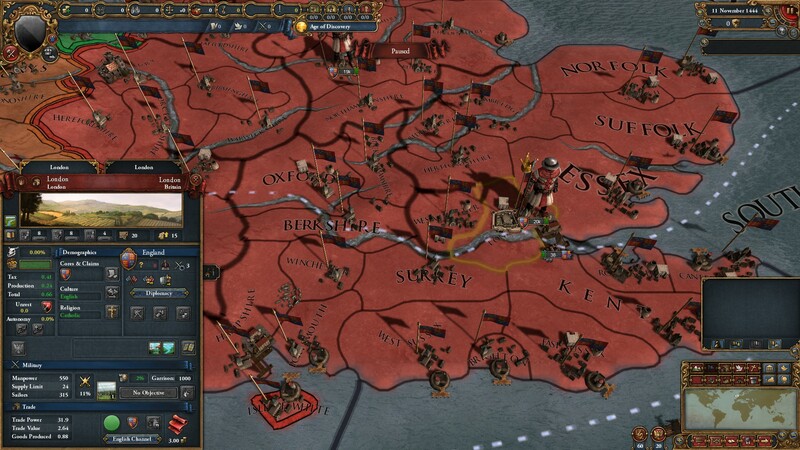 Now you can place burghers or merchants in London, whilst members of parliament go to work in Westminster. The frustration of having a capital sitting on top of a natural port, estuary used to frustrate me, which is why I created capital regions. I am planning to extend the timeline of this mod. Everything else I have planned, well you'll all just have to wait. Simply click on the link, download the zip and .mod files and paste them into you mods folder found in user - documents. If you are having any more issues, then please leave a comment or visit me on discord where I will most likely be. Thank you once again to all TCoP fans and stay tuned for more updates; Happy gaming! To San_Felipe aka Jobro06 (Me) for creating this mod. To all the fans of this mod. Someone aspiring to join court.